Municipal waste is everything collected and treated by municipalities. Only part of it is comes from households, the rest is generated by small businesses, commercial and other municipal activities. 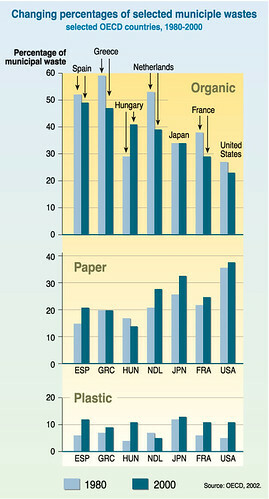 A typical trend: as countries get richer, the organic share decreases whereas the paper and plastic ones increase.